Each time a workflow runs, a log entry is created. Log entries record the time the workflow was run, the data it operated on, like the customer, order or subscription, and the success or failure or failure of the workflow. 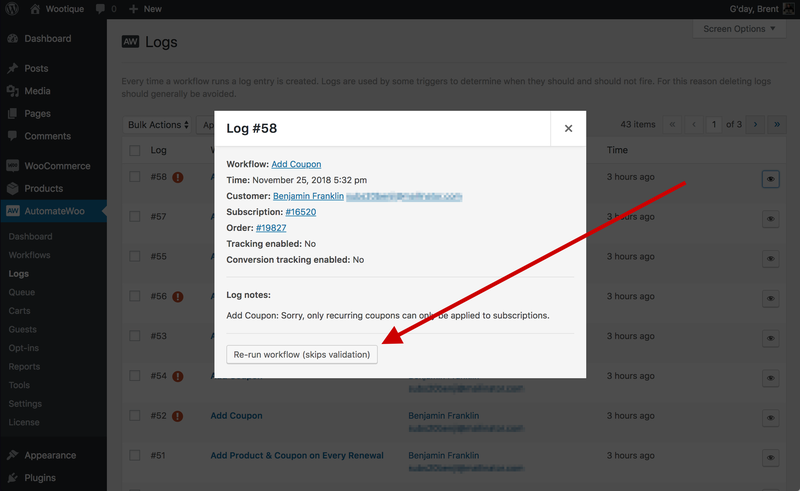 Workflow logs are accessible on an administration screen via AutomateWoo > Logs. Logs are used by some triggers and rules to determine when they should and should not fire. For this reason deleting logs should generally be avoided. 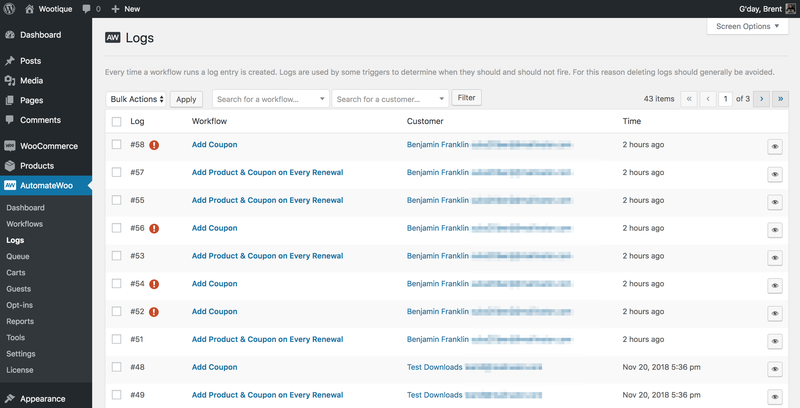 For example, the Workflows – Workflow Times Run Reaches trigger checks the logs to find how many times a workflow has been run to determine whether that workflow should be run. Similarly, the Workflow – Last Run Date for Customer rule uses the logs to find the last run date.